TASA is servicing the following: Televisions, big screens, plasma's, DLP's, high definition displays, VCR's, DVD, Blu-Ray players, combination units, stereo's, CD players, Video Gaming Consoles, and major brand appliances. We are an authorized service repair center for most major manufactures, and our staff is certified. All our engineers are highly qualified to the highest standards, and are recognized as Certified Technicians with all major manufacturers with over 25 years of experience. To schedule a service call, simply call our scheduling department. Typically new schedules can be made within one day, or you may bring your television to us for an estimate. Our normal office hours are Monday through Friday 8:00am to 5:00pm. The TASA® special cleaning process will have damaged equipment back in service in a matter of days. This saves businesses costly down time and helps our customers return quickly to their pre-disaster routines.If it's not convenient for you to bring your television to us, we can schedule a service technician to come to your location and perform the estimate/evaluation. A service charge would apply but will go towards the estimate cost of repair, should the repair proceed with your authorization. If it is convenient for you to bring in the television to our facility the estimate/evaluation is absolutely FREE. Our engineers will always be honest and let you know whether a repair is worth pursuing. If our experts think that even after one component is repaired, others will fail imminently, they will quickly make you aware. 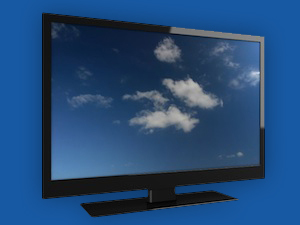 Sometimes it can be more cost effective to simply purchase a new television, rather than to opt for a repair.